Bollinger bands are one of the most popular and widely used technical indicators. Many successful trading strategies are based on nothing more than Bollinger bands and a few complementary indicators. This general principle then offers a number of advanced and sophisticated strategies that traders can use to effectively predict short term price action. This next strategy uses a candlestick chart to act as a complementary indicator for fading reversals. 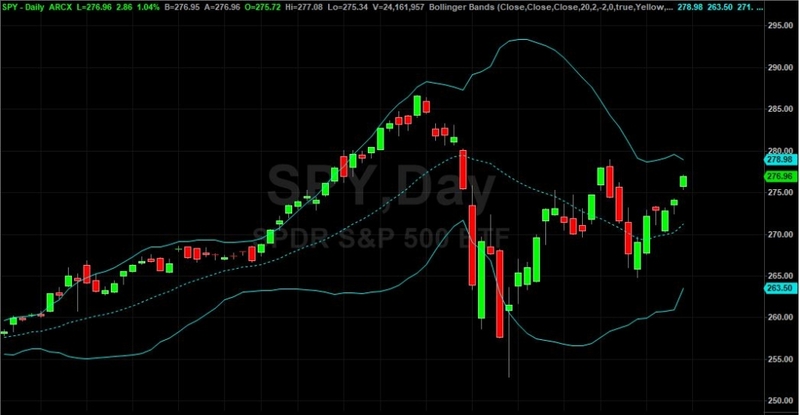 Instead of merely buying and selling every time a security’s price exceeds the Bollinger bands, complementary indicators help to identify and time trades to increase their rate and magnitude of success.